Palm Reading, also known as Chiromancy, has a long history stretching back to ancient India and China and throughout the world. A person’s palm reading lines can tell a lot about them as a person, from how their life live is likely to go to how far and where they are likely to travel. Nor does chiromancy stop at just the palms of the hand. All parts of the hand can be included such as the fingers and fingernails. Which hand should be read and why? There are different schools of thought about what it means to read a “dominant” hand. Some chiromancers believe that women should be read on the right hand and men should be read on the left. However, many readers will ask to see the dominant hand of the person they are reading for, so a right-handed person would show their right hand, and vice versa. The dominant hand is thought to represent the conscious actions of the person, and the less-dominant hand will show the subconscious. The third school of thought is that the left hand signifies potential and the right hand signifies accomplishments. 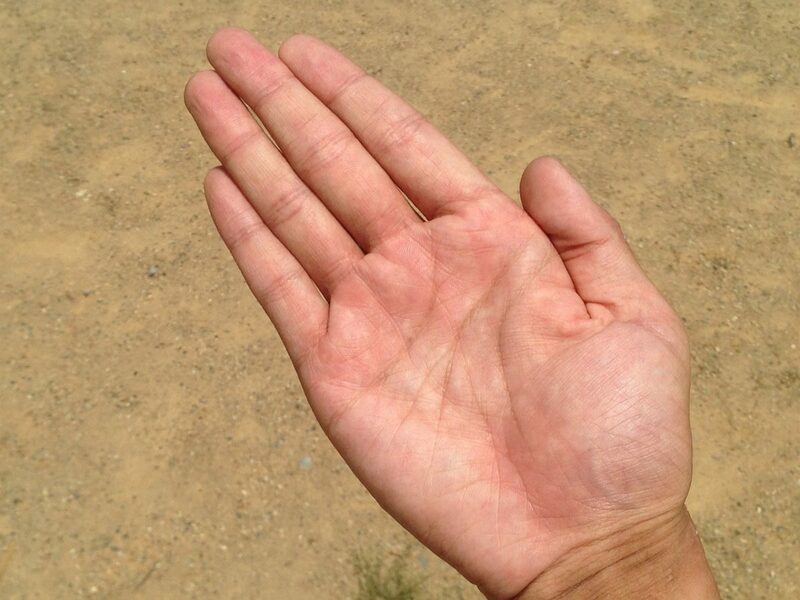 A more detailed palm reading may even work with both hands to get a complete picture. The heart line, also known as the love line or the mensal line, tells us more than just how our love life is going. It speaks to the mental state of the person. It starts underneath either the index or middle finger and runs along the top of the palm all the way to the little finger. It can be read from either direction. There are many variations of meaning within the heart line, describing exactly how a person may struggle with relationships, or fall in love easily with many people. The lifeline is another line that many people will ask about when they come in for readings. Despite popular belief, a short lifeline does not mean that a person will have a short lifespan. It begins between the thumb and the index finger then bends towards the wrist. Overall, the lifeline speaks to the type of life that we will live, not the length of it. Our encounters with other people, the types of adventures that we undergo, and our health, happiness, and relationships all have indicators along the lifeline. The head or wisdom line is considered to be very important especially in Chinese-based palmistry. This line usually starts very close to the lifeline between the index finger and the thumb and spreads across the middle of the palm between the love line and the lifeline. The headline is closely linked to everything that goes on inside our brains: our force of will, creativity, attitude, critical thinking skills, and our memories. So, naturally, there are many variations within the head line and different layers of meaning to each. For example, a thin and relatively straight line is a mark of a practical and level-headed individual, while a curved line is often a sign of creativity and spontaneity. A fourth very common question is about fate. Perhaps this is not surprising since palmistry has been so closely linked with fortune telling and determining one’s future. However, not everyone even has a fate line. Where it begins and how deeply it runs down the palm can indicate details about a person’s fate such as how strongly they will be controlled by it, and how their fate will be influenced by their environment. How can palm reading help you understand yourself? It’s important to realize that our hands can change over time, reflecting the changes in our lives. In a way, they grow with us, adding the marks of experience as we age. No two palms will be exactly alike, which is why they can tell us so much about ourselves.